Straight to the point, Trump is a friend and Tillerson is an enemy of the Jewish State. 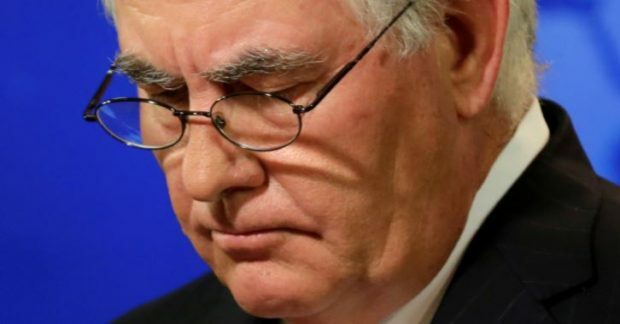 No friend of the Jews, Rex Tillerson…and he’s been fired by President Trump just in time for Passover. It’s being said that they differed, even quarreled, mainly over the Iran Nuke Deal… the one where Obama slipped $150 Billion to Iran’s tinhorn pharaohs in order, one way and another, to let them go ahead with a missile program intended to annihilate both Israel and the United States. Tilllerson, for reasons that somehow made sense to himself and his State Department, wanted it kept pretty much as is. Trump wants it fixed or ditched.